It's been a while since I have had time to do any home updates / nursery updates but a few weeks ago I finally made time to do a little more in Nicole's bedroom. 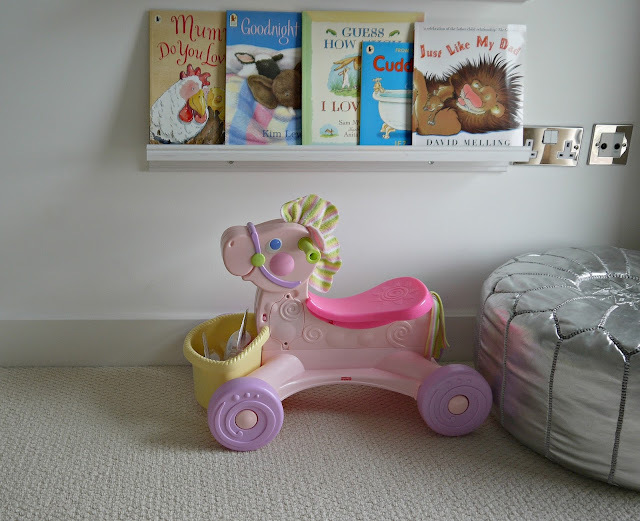 The last update I posted was back in May you can read here on our Little Green Sheep mattress / cot. As a kid I loved reading but as I got older I really struggled to find the time to read and the right books I enjoy so the only time I ever get to finish a book is usually on holiday. 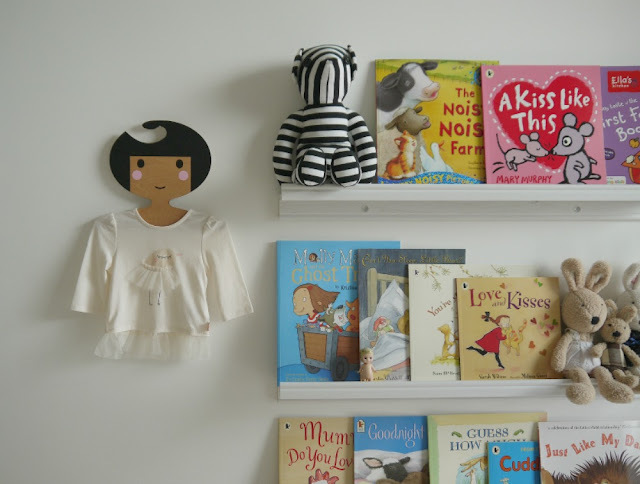 I really want to encourage her to read from a young age and what better way to do it than to have a book shelf with all the colourful books out on display to catch her eye and get into bedtime reading routine. 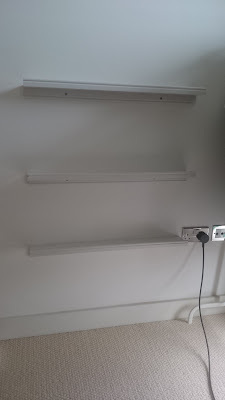 I picked these 3 white Ikea ledges back in October last year...yes last year and we have only just put them up. They are super easy to put up and you can use them for toy display / books / photos pretty much anything you want. I think we will get a good book rotation going to keep things interesting for her and borrow plenty from the local library. These ledges save valuable space in our apartment and they look great in her room. Nicole is 9 months old now and she's drawn to bright coloured books. We tend to read after bath when she's most chilled out then milk and bed. She's in a very good routine and goes to bed daily between 7-7.30pm which suits us well as we still get our evenings which is why I have a little more time to myself. 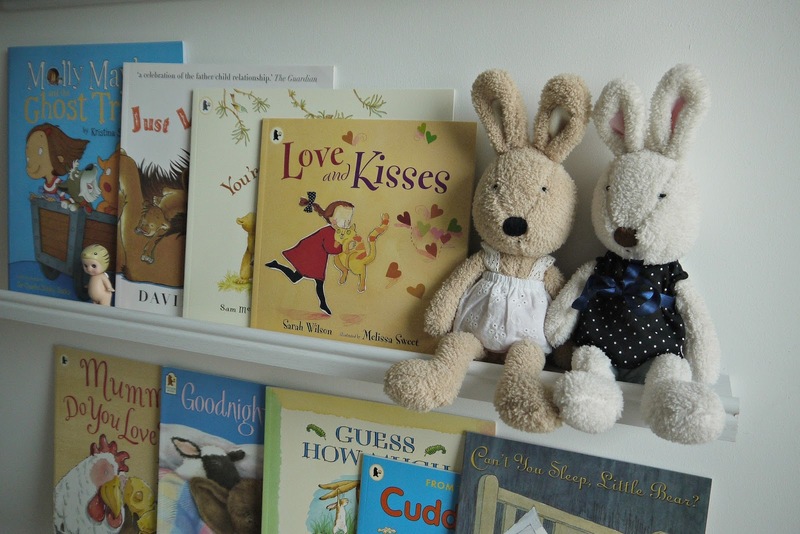 Here are her current favourites Molly Maybe, Just Like My Dad and The Noisy Noisy Farm. 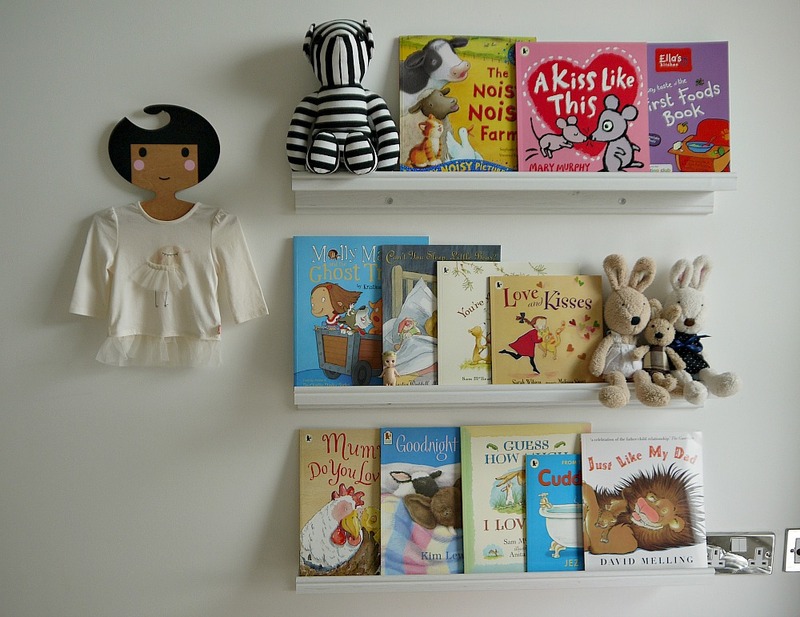 I just love this way of displaying her books, as she gets older she will be able to pick herself and hopefully it will encourage reading!